In a new lawsuit, Apple is being sued for disabling charging via older Apple chargers on iPhones. A class action lawsuit has been filed against Apple. The lawsuit alleges that the company disabled support for original chargers on older iPhones. The update that rejected old iPhone chargers was allegedly seeded by Apple in November 2016. 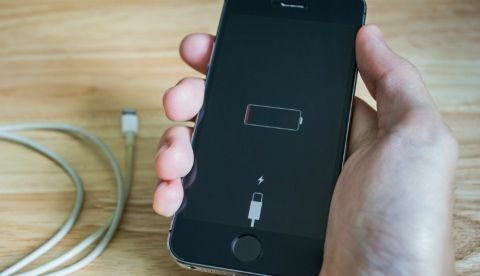 The patch, which could have been version 10.1.1, is said to have been specifically designed and programmed not to accept charging through older Apple chargers. “Plaintiff and similarly situated Purchasers were not informed by Apple Inc. of the modifications in question and did not consent to Apple Inc. unilaterally pushing such modifications into their iPhones, rendering the iPhones fundamentally altered and making the iPhones no longer what Plaintiff and similarly situated Purchasers had bargained for,” the class action lawsuit document states. Emerson says that she used Apple's original charger, but as MacRumors points out, there’s no mention whether the adapter was used with an Apple-certified Lightning cable under the Made for iPhone program. If this is not the case and if she used an Apple charger with an uncertified cable, then the message was correctly displayed as we have also observed the message "this accessory may not be supported" pop up at times when using third-party accessories to charge an iPhone. Because of this message, Emerson believes that she and others were forced to buy new Apple accessories or upgrade to newer phones. The total claims of the lawsuit are over $5 million and the plaintiff is seeking a jury trial in the US District Court for Central California.